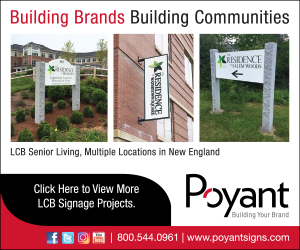 Boston – The Boston Planning & Development Agency (BPDA) Board of Directors approved residential development projects in Mattapan, East Boston, South Boston, and Fenway at its January meeting. In total, the projects will create 559 residential units, including 90 income-restricted units, and a fully affordable senior housing development. Grace Apartments – Developed by the East Boston Community Development Organization, Grace Apartments in East Boston will create 42 affordable housing units for seniors. The new building will be seven stories tall and 39,067sf. The project will also renovate 17 income-restricted units on the site’s existing building. 775 Morton Street will create 27 transit-oriented residential units in Mattapan, including four income-restricted units and two ground-floor retail opportunities. 60 Kilmarnock will bring 435 residential units in two buildings, totaling 420,800sf to Fenway, along with ground-floor retail space, landscaped areas, and other amenities and services for residents. The site is currently home to K Street Clubhouse, a meeting place for people in recovery from various addictions. 21–35 West Second Street will create a new six-story building with 55 residential rental units, approximately 2,600sf of ground-floor retail space, and two onsite parking spaces for car-share services. The project will include 1,600sf of additional outdoor seating, public space, street lighting, and associated streetscape improvement.